Brooklyn Dining Set 7pcs. Table + 6 chairs. 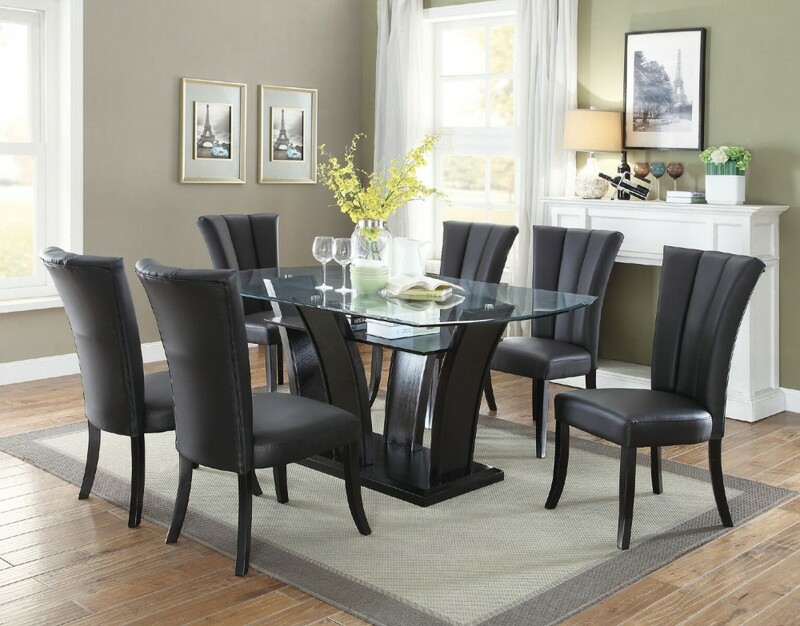 A modern masterpiece of bold design, this formal dining set delivers futuristic style. Featuring seating for up to six, the sleek clear table top includes wide arched panels posted on a center platform in a rich brown hue.